Great Advertising Exposure with these inexpensive Pen Highlighter combinations. 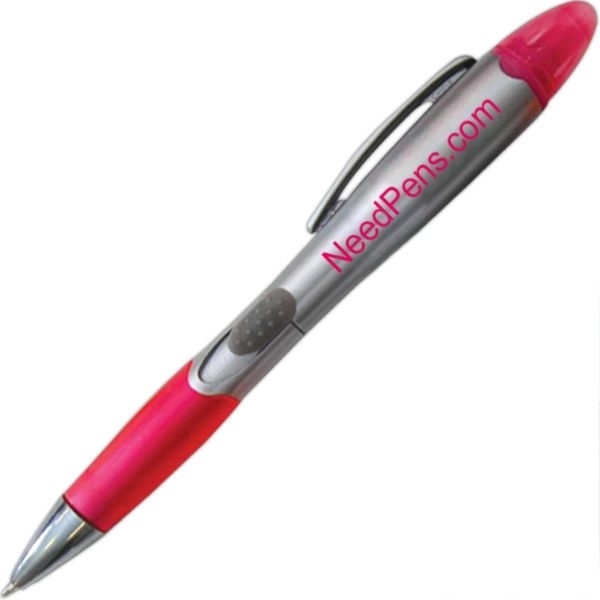 Your ad message will go a long way with this wonderful giveaway, it is perfect for promoting your brand at any office or event- simply have your logo or message imprinted today! 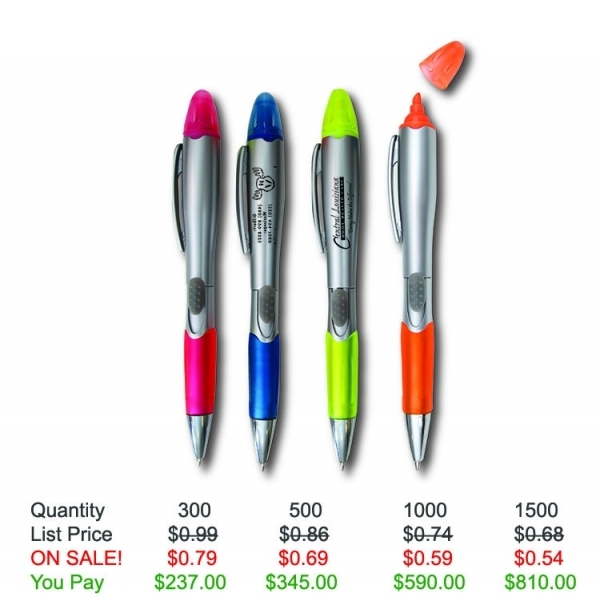 Item Color: Silver Barrel w/ Pink, Yellow, Orange, or Blue Grip with Matching Highlighter Ink. Color Ink/Point: Black ink - medium point. Highlighter color matches trim color. Your suggestions and ideas were amazing to help us get our fitness business of the ground! Everyone loves these pens with the highlighters built in to mark their progress on the sheets we hand out to new customers! Your right this was a great way to advertise our logo and you are so creative, so definitely count on us to be back again when these run out ! Can't wait to see what you come up with next! Thanks again to everyone there!